Plain and blah backpacks are a thing of the past. Gone are the days of boring bags. Hip, brightly-colored packs are in and their owners couldn’t be happier. Hooray for those girly-to-the-roots girls who have to have everything in pink! Now you can be fashionable and hip without having to ditch practicality. 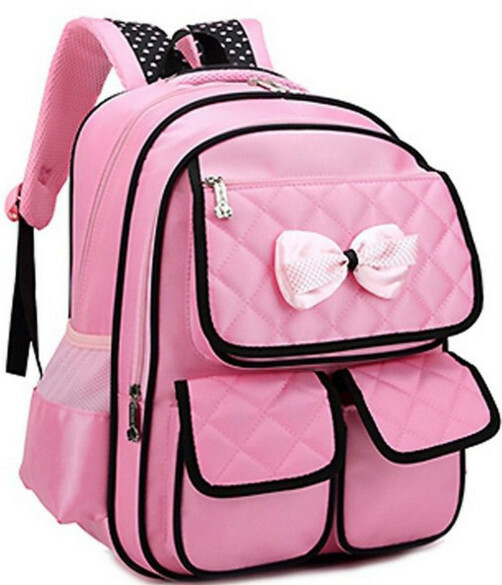 Of course, if the color pink isn’t exactly your color, feel free to have a look at backpacks for girls instead. 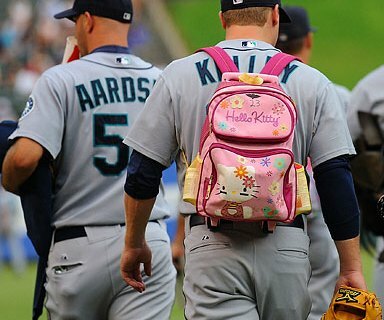 Or maybe you’re a firm believer in “real men wear pink” but you don’t think the backpacks presented here look manly enough despite their color? Well, you can certainly have a peak at backpacks for real men, except different in color. Backpacks may not be your first accessory to complete your outfit but they’re the most practical way of carrying your belongings wherever you go. Imagine if you had to carry a purse and your heavy textbooks without a pack. Pretty impractical right? Space – a regular sized backpack has about 27 liters of storage space. You can easily fit a laptop, 2-3 textbooks and whatever small pouches you usually carry. Most backpacks have several extra compartments inside and outside the main storage for even smaller items. The outside compartments can house the items that you need constant easy access to, like your mobile phone, keys or lip gloss. You can carry far more than what a nice looking purse will permit. Balanced Weight – carrying a heavy sling bag on one shoulder is not conducive to good posture. You usually lean towards the opposite side of where your bag is slung to support the weight. This can cause Scoliosis and other issues. Backpacks are better for everyday use because the weight is equally distributed on both shoulders. Take caution on how much weight you put on it, however. Too much weight can be unhealthy, especially if you’re still growing. Sturdiness – backpacks are built to carry weight without having to worry about the straps snapping. One strap bags and purses are really prone to snapping especially if used daily and always weighted down. You don’t want your strap breaking and everything falling out. Weatherproof – most backpacks are waterproof which helps protect the items inside. This is extremely beneficial if you always carry your laptop and other gadgets. It can save you hundreds of dollars in potential damage. Along with saving you money, a weatherproof pack can save your grades. Don’t worry about an essay paper being ruined by rain. Great for Short Trips – No need to haul heavy luggage for your next short vacation, take a backpack. You’ll be surprised how much gear you can fit in a pack. If you’re flying, why check luggage and worry about it being lost? Save time and hassle by carrying on a backpack. If you’re a heavy packer, then you always need more space. A stylish backpack is a great way to supplement your main luggage. Just like every product that has pros, backpacks also have cons. Can’t be used for all occasions – a very valid point. You can’t bring a backpack to a formal dinner party or a wedding but how often do you go to those fancy-chancy events anyway? Three or four times a year? Whereas, work and school are daily events. You’ll never have to worry about getting your money’s worth with a backpack. Bulky – another valid point. Backpacks can be bulky but it only depends on what you carry around. When you’re camping or sleeping at a friend’s house, you don’t need your entire closet right? If you’re at school, carry only what you need for your day’s first half and go back to your locker after lunch to gather your books for the last half. Too common – no need to worry about this anymore. Manufacturers have taken backpacks to new fashion levels. There are different colors, styles, materials and sizes to guarantee you make a unique fashion statement. There’s a style for everyone. Still unconvinced about picking up a stylish pink backpack? Backpacks are one of the leading fashion trends among students and bikers as they are a stylish way of carrying either those heavy books, laptops or equipment while going to work or school. 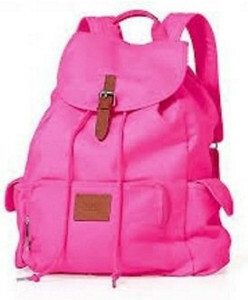 Pink backpacks are especially trendy in this modern age and portray a bold statement. This is an ultra-functional pink school backpack/daypack, handy for carrying textbooks, notepads, and calculators. 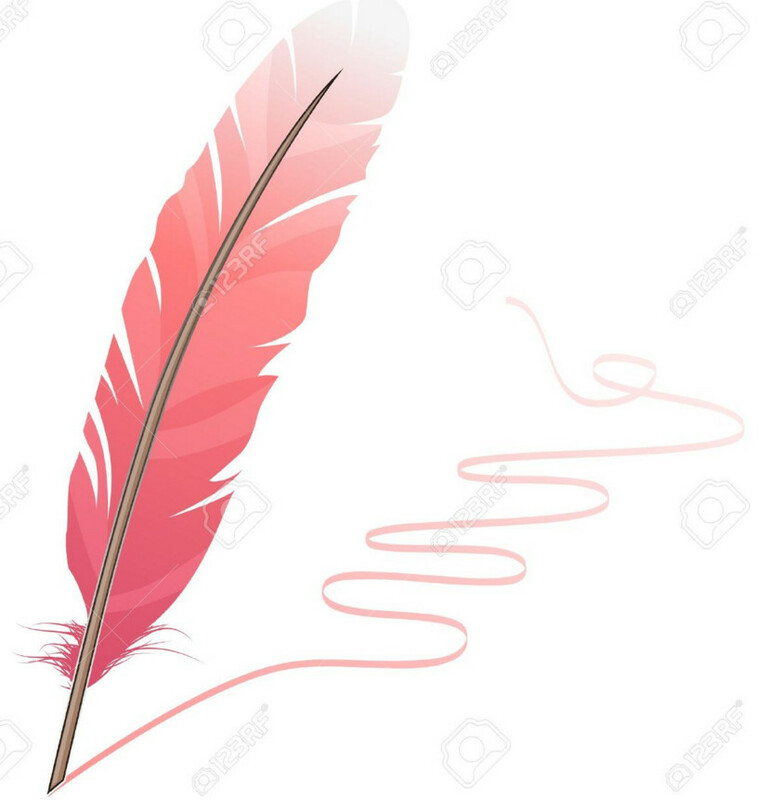 It comes in a bold pink color that is quite fashionable. This is a must have. A super cute backpack with many cute options as a School Flandbag or Backpack and also Bookbag, that still leaves a fashion statement from the wearer. 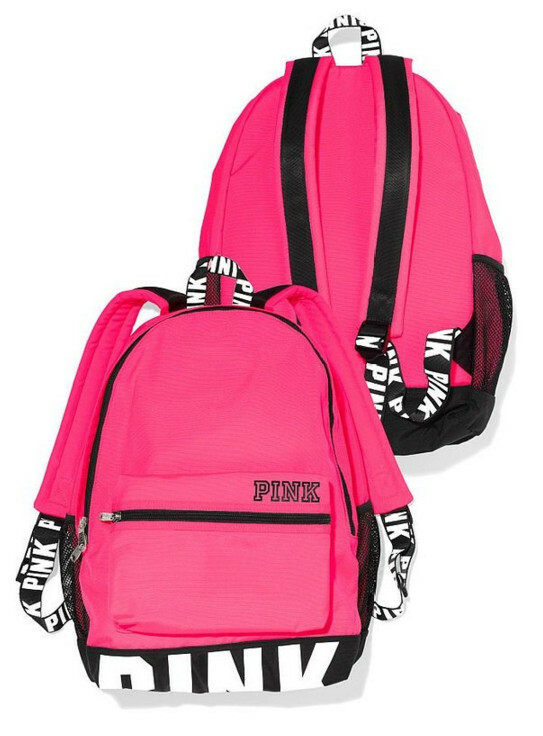 This Victoria’s Secret Pink Backpack comes with new styles to make you look good whether on or off campus. 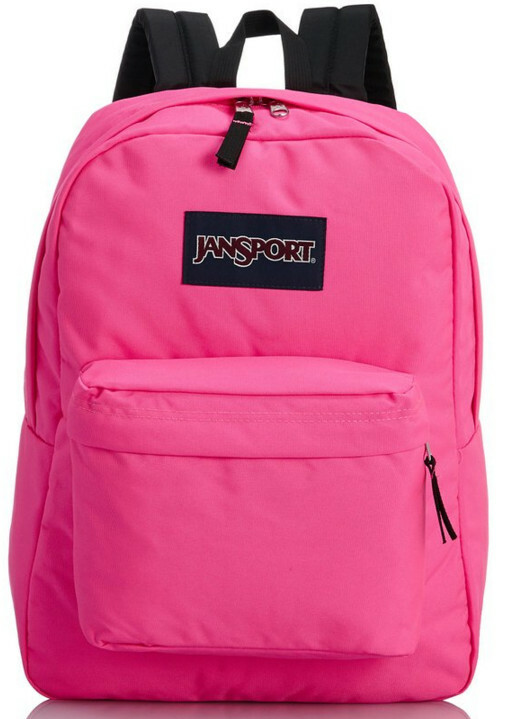 With this new cute pink and trendy backpack, you will surely be the talk around school. This is a super cute casual daypack, Laptop backpack and Cute School bag made of durable quality canvas and artificial leather. It adds to your beauty with a cute pink design to match. 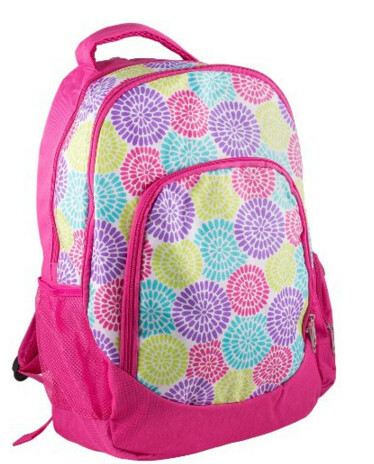 This is a lightweight backpack with a unique design that is waterproof and available in stylish trendy pink designs. Spacious compartments with lining, for tablets Reinforced design for safety and comfort Very lightweight and easy to carry Fashionable and Cute to wear Very sturdy straps offering comfort to the wearer. This is a cute small backpack made especially for women who would love to change their fashion style of carrying the normal handbag. This type of backpack comes in handy for women who love to travel, shop and even hike. 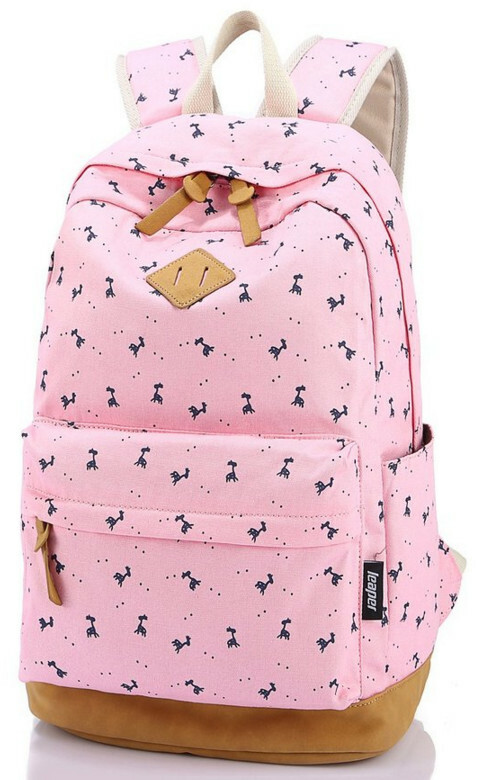 This book bag is very fashionable for the girls and can be used as school bag making them look nice with a beautiful pink design to add to their appearance. This is a super quality backpack fit for use as Laptop Daypack bag, Ultra-light weight backpack for girls, college student boys and also as a colorful cross-body bag. Very Spacious, can hold your books, clothing, computers, iPad, water bottles umbrellas. High-quality material, made of high-quality nylon, tear-resistant, waterproof. Fashion design with multi-color options, streamlined appearance makes it fashionable and beautiful. High-quality material to protect your belongings from dust, rain and dirt. 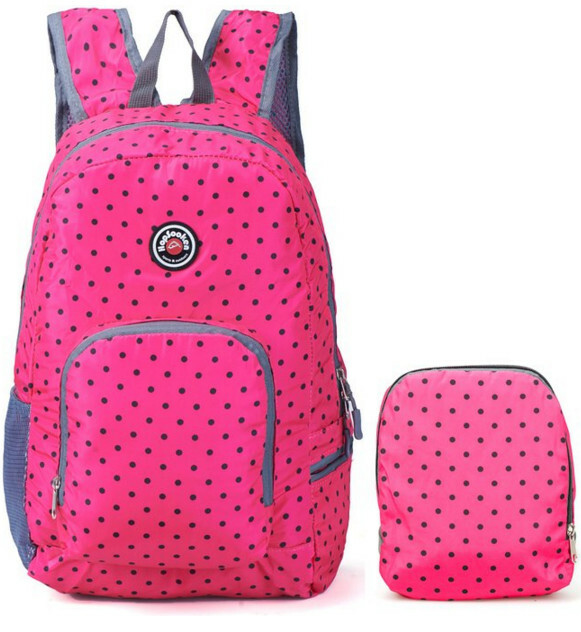 These pink backpacks will add to your appearance with their cute trendy designs. 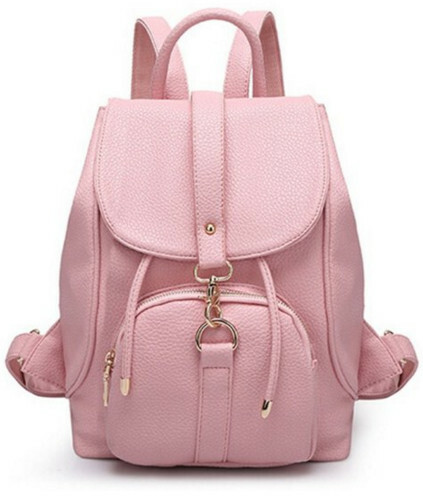 Therefore, whether you are a child, a young girl, a lady, a mother or a young man, you are sure to make a bold a fashion statement when you own a pink backpack.